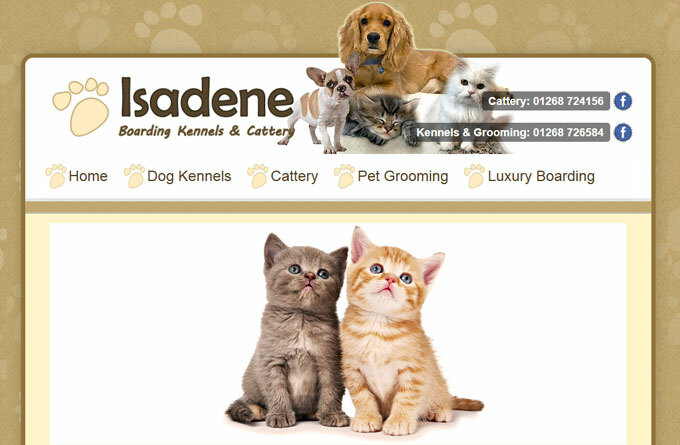 Isadene Kennels and Cattery is based in a rural location between Benfleet and Pitsea. Our kennels offer a different service in that with your permission and where possible, we socialise all our dogs in big paved courtyards. Unless they come in together we don’t socialise big dogs with small, as they have separate courtyards. Socialising gives the dogs the freedom to have a good run around and play, which make their days with us very enjoyable and stimulating and very different to normal kennel visits. All our kennels are clean and comfortable with heating. We welcome large families of dogs as we have adequate size kennels and offer competitive family discounts. We always feed dogs separate so we know everyone is eating. We are happy to accept dogs on medication and all instructions must be made clear. We also offer dog bathing and clipping service for all breeds, leaving your dog smart and smelling fresh ready for their return home.